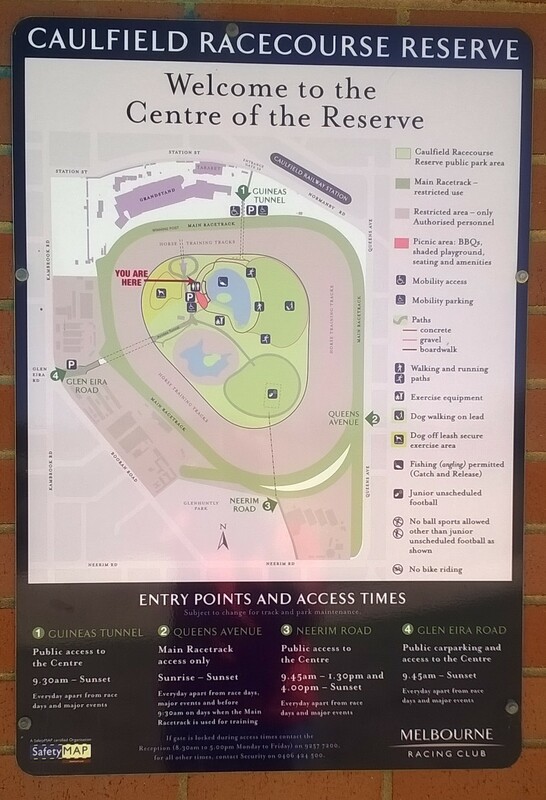 Camp Magee has been temporarily dismantled – the magnitude of public and media attention generated by the “Bear” has been such, that the State Government is “more actively” progressing their review of the MRC’s occupation of the Caulfield Racecourse and Recreation Reserve. Therefore, Camp Magee and next Saturday’s wrap up session are now deferred to give the newly appointed Minister (Lily Ambrosio) time to assess the current situation and determine the best way forward. The “Bear”, with his tent, promises to return if required (something we hope doesn’t eventuate). A big thank you to the “Bear”, the media and the public for their efforts in highlighting this significant issue. For those of you who missed viewing the centre parkland while Jim was in residence, don’t let that deter you from visiting the centre parkland. It’s an awesome sight and a tremendous community asset that is under utilized by the community. Cr. 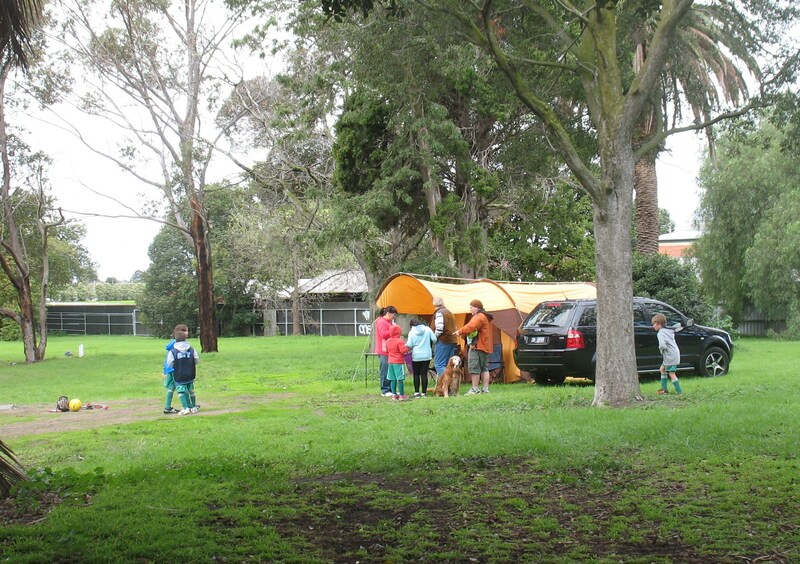 Jim “Bear Grylls” Magee has set up a week long camp* on the 5584 sqm of neglected crown land located near the Glen Eira Road roundabout. This land was a major part of the infamous land swap and was to become parkland that provided visual and physical above ground pedestrian access to the public parkland in the centre of the racecourse. 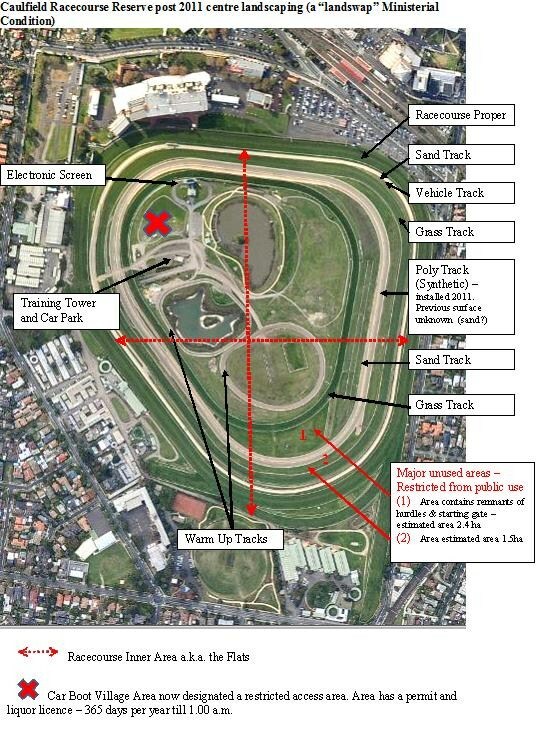 The purpose of “Bear” Magee’s camp out is to highlight the inequitable racing vs public use of the Crown Land known as the Caulfield Racecourse and Recreation Reserve and the need for Government action. 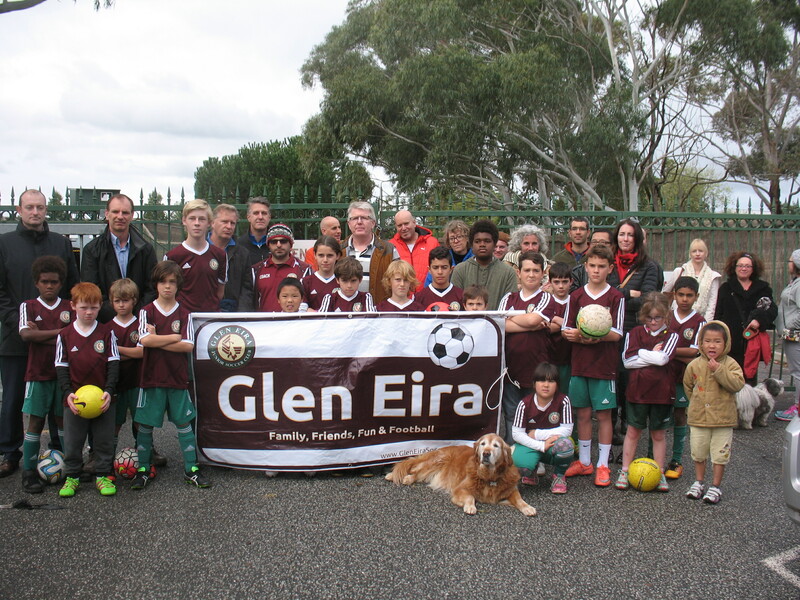 The camp out will end next Saturday (4/6/2016) at 1.00 p.m. with a wrap up session attended by the Minister responsible for the Reserve’s management (the newly appointed Minister for Energy, Environment and Climate Change – Lily D’Ambrosio), the Minister for Sport (John Eren) and various media representatives. Residents are also urged to attend to show their support for the “opening up” of the Racecourse for public parkland usage. For those of you who don’t know, we re-iterate – the Caulfield Racecourse and Recreation Reserve was created by a Crown Grant in 1858 with the grant being formally enacted in 1876. Under that Grant and all subsequent legislation, the primely located Reserve has 3 separate yet equal purposes of racecourse, public park and public recreation ground (ie. 33% racing and 67% public usage). 11 hectares (20%), is leased by the Melbourne Racing Club (MRC) for a flat rate of approx. $170,000 p.a. The lease revenue is paid to the Trustees who generally return it to the MRC to fund racing related projects (as opposed to parkland related projects). All revenue derived from the commercial activities (including the Glasshouse Tabaret) held on the Reserve land is retained by the MRC. 37 hectares (69%) is used by MRC without any clear legal entitlement or payment arrangement. 6 hectares (11%) is open space for potential use by the community 328 days p.a. (ie. excluding racing – 27 days p.a. and major MRC commercial event days – 10 days p.a.) and during prescribed hours (ie. 10 am. to dusk). The 6 ha is not visible from the surrounding streets, is difficult to physically access and comprises limited facilities that don’t meet park users’ needs. In short, the Auditor General’s Report (which concurred with the findings of the earlier 2008 Legislative Council Select Committee Report on Crown Land Management) found that “the current Crown land management arrangements over the reserve are untenable from a public interest perspective …. attention urgently required”. the above usages and leasing arrangements remain in place, to the advantage of the MRC and the detriment of the public. innumerable children and adults are unable to play sport or train within their own Municipality because demand far exceeds supply. attending the camp out wrap up session next Saturday. The Argus, 16th August, 1884 (8 years after Grown Grant was enacted). This is a unique opportunity that could bring about significant change. The consultation arises from the September, 2015 Auditor General’s Performance Audit Report that was extremely critical of Trustee’s management of the reserve that had allowed racing to dominate the Reserve, exclude the public and become the public face of the Reserve. A reserve that was set aside by an 1858 Crown Grant, enacted in 1875, for three separate yet equal purposes, i.e. racecourse, public park and public recreation ground. only 6 hectares (11%) is available as open space for the potential use of the community. Such a basic inequity in reserve usage is further exacerbated by the AG’s comments that the 6 ha comprises facilities, which although recently upgraded (in 2011 as a Ministerial condition of the ”Triangle Landswap”), that do not adequately meet the needs of community, are not easy to physically access and are subject to restricted usage times (not available on race or major event days, other days 9.45 a.m. to dusk). On the other hand, such accessibility issues and time restrictions are not applicable to racing’s usage. * In 1876, at the first Trustee’s meeting, the centre of the racecourse (also known as the “Flats”) was set aside for public usage. Within the context of the current racecourse, that area is estimated to be 25ha (since specific measurements are not publicly available, this “guesstimate” was provided by a surveyor) and comprises approximately half of the 37 ha (25ha – 6 ha = 19ha) used by racing without any legal entitlement or payment. In terms of the “Flats” it has been consumed by training tracks (a clearly commercial activity, that is not essential to a racecourse) or in the case of 1.1 ha “Car Boot Village” which the 2011 landscaping plan identified as unrestricted public access area, has since been designated a restricted public access area. While no rationale for re-designation is publicly available, a recent planning permit application noted that the “Car Boot Village” area has permits for future commercial activities. These permits provide for the temporary installation of private function facilities (ie. marquees, liquor service and toilet facilities) until 1 a.m. 365 days p.a. in the “Car Boot Village” area. Clearly, this inequitable distribution should be addressed, particularly in the light of the size of the land and it’s potential to meet the open space demands (especially for active sports) of the intensive developments in the surrounding area, ie. Monash University – currently 10,000 EFS (effective full-time students) to increase to 25,000 EFS and increased provision of student housing. does little for evening public park and recreation ground usage and also begs the question of why current public access to the reserve is not permitted after dusk whereas paid patrons are. This is a unique opportunity that could bring about significant change and residents are urged to attend and views to the Trustees. In 1884, 9 years after the Restricted Crown Grant was formally enacted, a deputation from the Victorian Amateur Turf Club (VATC) was made to the Minister of Lands (Mr. Tucker) requesting Reserve management be transferred to the Club. Mr. Tucker “… to agree to the proposal of the club would be to limit to some extent the right of the public to use the ground for the purposes for which it was originally reserved – namely, for recreation and a public park. 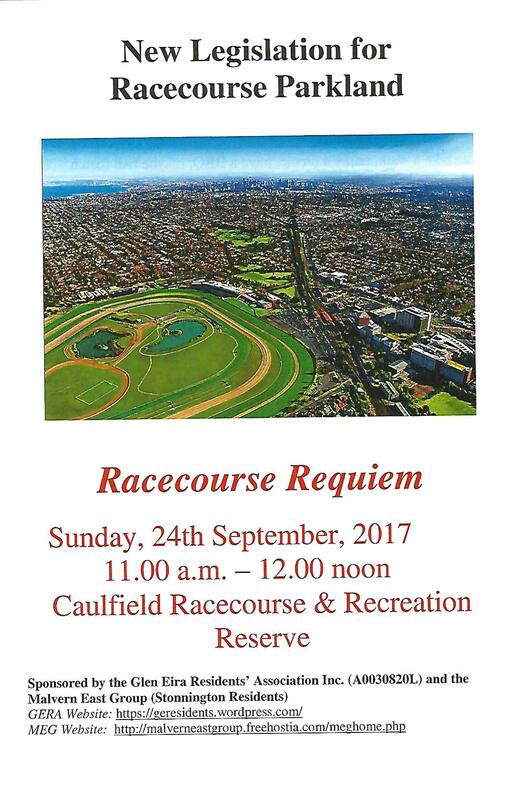 … The vicinity of the Caulfield Racecourse would no doubt soon be thickly populated, and the value of the reserve to the public would then be widely enhanced”. Mr. Tucker “… thought the public ought not to have to ask for permission to go on a public reserve”.